If you’re an active iFunbox user and have recently jailbreak iPhone/iPod touch/iPad running iOS 7.1 or iOS 7.1.1 with the latest Pangu Jailbreak, then I guess you have noticed that iFunbox is not working properly with Pangu JB. You may have also noticed that iFunbox doesn’t recognize the device as jailbroken and shows a Jailed status under the connected device in left sidebar. In such situation you’ll no longer be able to access the Raw File System from your Computer (Mac/Windows) over the USB cable. Which mean iFunbox will not show up the Var folder, System, Library, cores, dev, lib, etc folders which are extremely necessary to interact deeply with your i-device. You’ll also not able to find the “Cydia App Install” option under iFunbox after Pangu Jailbreak which is one of the most important reason people use iFunbox. Just to Let you know, Cydia App Install is an iFunbox feature which lets you install any .deb application directly onto your iPhone from any authorized computer. Why iFunbox showing Jailed status after Pangu Jailbreak. If you want to know the reason for such iFunbox Jailed error with iOS 7.1 and iOS 7.1.1 then read on. 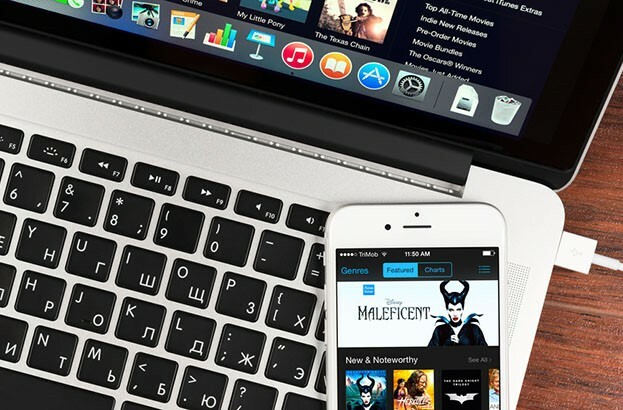 Apple File Conduit (AFC) is a program through which Computer Application like iTunes, iPhoto, iTools etc read and write files from your iPhone, iPad or iPod touch over the USB cable. But the program Apple File Conduit comes in a jailed state, which only gives access to Media (like musics, photos, videos and data for apps from the AppStore). After a successful evasi0n jailbreak this AFC program gets free and allow access to system files and folder like Var, root folder etc. But in cases of Pangu Jailbreak, the Apple File Conduit program remains untouched or may be partially touched which gives arise to this Jailed iFunbox error. Now you know the reason for this error, so lets checkout How to Fix this Jailed iFunbox error after Pangu Jailbreak. 1) First of all please confirm that you’re using iOS 7.1 or iOs 7.1.1, have an active GPRS or WiFi connection and the most important a working Cydia Installer Application. 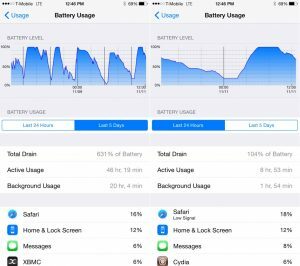 You might Like to Read : How to Fix Cydia App Crashing. 2) Now turn on WiFi or Internet and Launch the Cydia App from Springboard. 3) Tap the Search the icon located at the bottom-right corner of your screen. 4) A search page will open, tap the search field to pop out the keyboard and type >Apple File Conduit “2” < probably you’ll get only one result, so tap it to open. 5) Now select Install option from top-right corner and followed by confirm. 6) Wait for installation to over. 7) When done, tap return to cydia and respring your device once. Launch iFunbox and open iFunbox Classic. Tap the Connected device, and search for the Raw File System option from sidebar and Open it. After opening Raw File System if you found any of the system folders like Var, etc, Lib, Library then it mean you have got success. Now please let us know whether is worked for you or not by leaving a comment down in comment section. 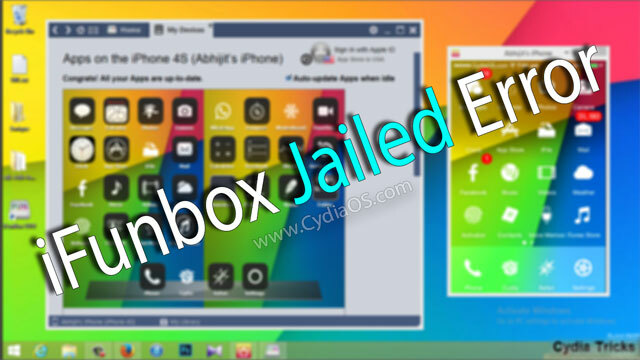 Thanks for following our guide on How to Fix iOS 7.1 iFunbox Jailed Error after Pangu Jailbreak. Great tutorial man. I got my pangu 1.1.0 deb working through ifunbox after going through this tuto. Welcome mate and thanks for stopping by. No success, still doesn’t show any folders. I did the update to 7.1.2 and jailbroke again and installed AFC2 only, same unsuccessful results. shut down and rebooted my pc, now it is showing everything. Yep it should work with iOS 7.1.2 also.. Try downloading the latest version of iFunbox from i-funbox.com, I hope then it will work.. Thanks ! Much appreciated. Have spent a few hours installing and reinstalling Cydia and ifunbox without any luck until I came across your article ! Well done. Hello Abhijith My ipad seems to be jailbroken with pangu and shows the Var etc lib etc . But the app installation fails always (craaked ipa) . Any idea ? Hi ped I think you haven’t installed AppSync. If that is the case, try installing appsync from cydia then reboot your ipad, after that try installing .ipa with ifunbox and let us know. I cant find app sync in cydia ? If you’re using iOS 7 or up, then install “AppSync for iOS 7.0+” instead. Glad it worked… Keep visiting.. Does this work for a itouch 5th gen ios 7.1.2? I tried to add the apple file conduit 2 and respringing the device but ifunbox still says that it is jailed. Hmm… I’m probably doing something wrong 🙁 since I never tried this before. I tried reinstalling AFC2 for a while now. I tried respringing and restarting the itouch but the it’s still appearing as jailed. Hmmm… I’ve tried removing and reinstalling AFC2 but it’s still not working. I already restarted my computer and the itouch but nothing still. which page you trying to access?? You want to edit files of a system application or an user application? For system application : i-Funbox > i-Funbox classic > System application > double click the app you want to edit. For User application : i-Funbox > i-Funbox classic > user application > double click the app you want to edit. Have tried afc2add before, but didn’t work. Now this works fine. Worked for me thanks with the Pangu jailbreak on ios 7.1.2. Had to reboot the device though as a respring wasn’t enough. My 4S running on 7.1.2 had the same issue. It worked for me. Thanks a ton! I am now able to transfer loads of my movies downloaded from Movie Box 2 🙂 which were eating almost entire of my phone memory! I got it to work. Then after two days or so, it stopped showing the folders again. I have afc2add and now I can’t access anything. I have reinstalled and resprung a bunch of times, to find nothing. Now my iPhone 4 iOS 7.1.2 is running with I-Funbox. Apple File Conduit “2″ is thw magic key ! Well i followed the guide verbatum, but even though ifunbox detects the jailbreak i still cannot make any changes to any of my apps like replacing files. Please help asap. Jailbroken ios 7.1.2, Restarted, it shows raw files but installation fails (ifunbox 1.1.02 classic for windows) with code Failed (-402620415). I forgot my iphone password and wanted to delete it in /var folder. I can access cydia without me typing my password into my phone so what do i do now? please help! Hi Penguin, Can you be more specific on which iPhone you are using. 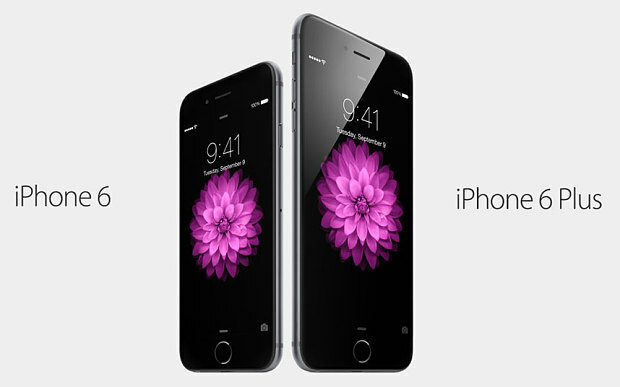 Based on each model and iOS versions, there are several ways to bypass the pass code. worked great on mi ipad 2 was then able to drag-drop movies from moviebox to desktop via ifunbox. works great thank you. you must also restart ifunbox if it was left running when you did the fix. It still says (jailed) even though the problem is actually fixed.